You all know Brexton and I love supporting small businesses and these Etsy stores offer the CUTEST clothes for little ones! Below is a little info about these amazing companies along with some great discount codes, enjoy! Brexton’s adorable baby bloomers are from Vivie & Ash out of Indianapolis where owner Sara makes organic cotton baby and kids clothes. I love her unique fabrics (wait till you see Brexton rocking his retro baby bloomers!) and quality pieces. You can receive 15% off at her store with discount code: BABYBREXTON. 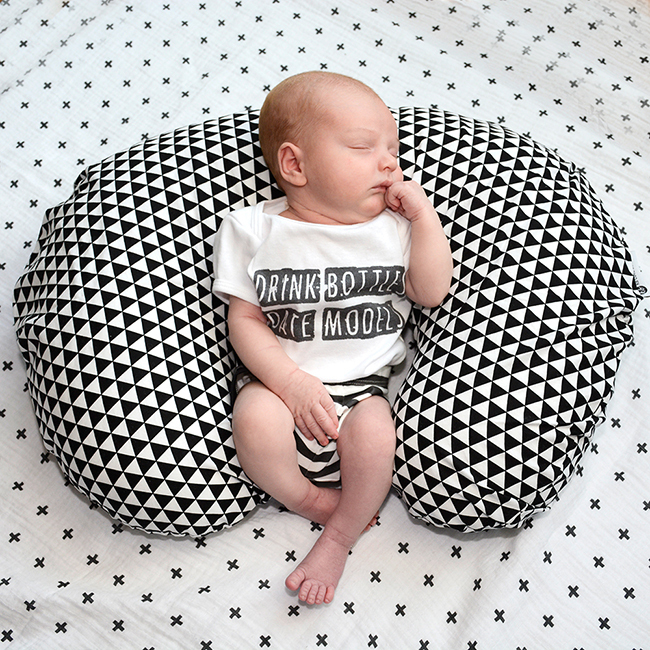 A boppy is a must during feeding times and a cool cover makes it even better! This awesome black and white cover is not only a modern design the fabric is great too and the quality is fantastic. 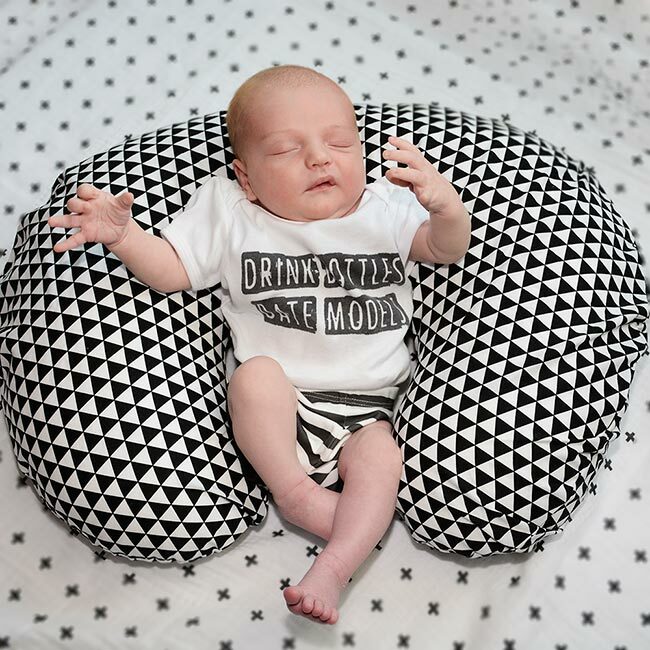 You need to check out Kerri’s store for a large selection of boppy covers, swaddles, quilts, crib sheets, beanies and more! 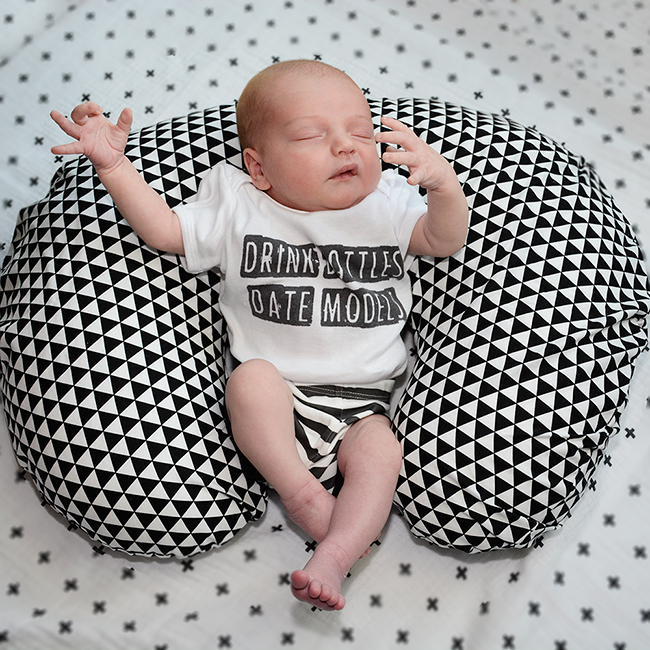 Finally, the black and white plus sign swaddle comes from modern burlap which has a great selection of monochrome blankets along with awesome tees and onesies for not only the kiddos but mommy too! You can check them out here.